When Apple held their big keynote event back in September, a heap of new products were announced. The iPhone 7 and 7 Plus were easily the starlets of the entire show, but they were also accompanied by the new AirPods and Apple Watch Series 2. While these guys were definitely the highlights of the keynote, another product was announced as well. Apple introduced it on stage, and although it didn’t receive nearly the amount of fanfare or attention, it’s a new product nonetheless. 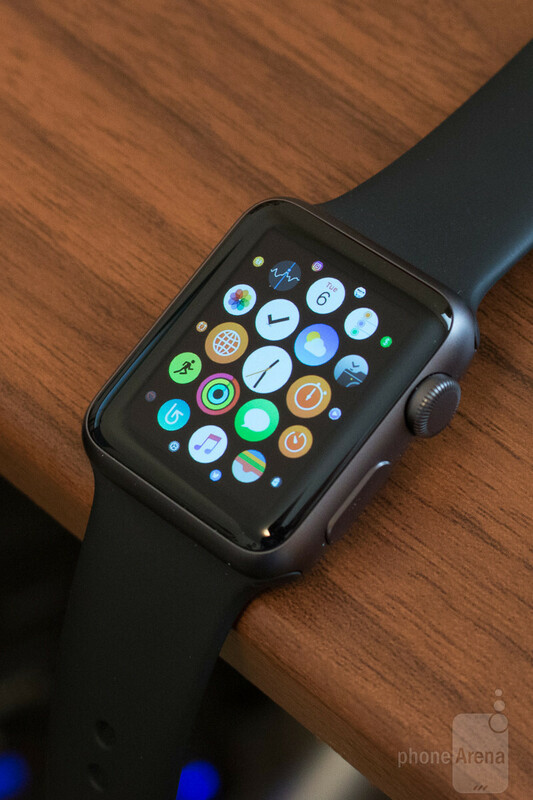 The product goes by the name Apple Watch Series 1, and while it’s essentially replacing the void of the original Apple Watch, it’s important for two very key reasons – performance and price. The Apple Watch Series 1 boasts a dual-core processor similar to that of the Series 2, and while it lacks built-in GPS and extreme water-resistance, it comes in at a much more affordable price point. We’ve already reviewed the Apple Watch Series 2, and seeing as how these two gadgets are both incredibly similar, we’re going to try and keep things as short and sweet as possible by only focusing on the main areas that make the Series 1 unique compared to Series 2. Right off the bat, differences between the Series 1 and Series 2 can be found within the design. Both versions look identical from an aesthetics standpoint, but the Series 2 does have the upper-hand over the Series 1 with its 50-meters of water resistance. This means that the Series 2 is much better-suited for swimming or showering with than Series 1, but Series 1 does still feature IPX7 water resistance. Although Apple doesn’t recommend you fully submerge the Series 1 variant of the Apple Watch, you can certainly still keep it on your wrist while doing dishes or if you happen to get caught outside during a rainstorm. In addition to the lack of true water-proofing, the Series 1 is also available in a much more limited collection as opposed to Series 2. 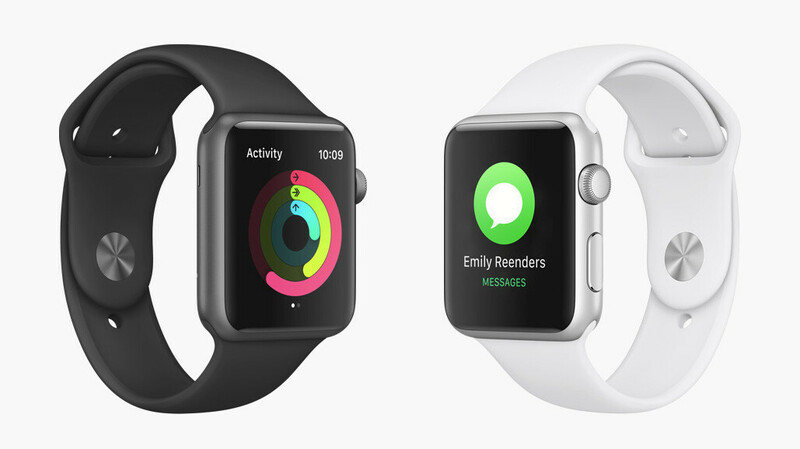 As it stands, the Series 1 Apple Watch is only available with an aluminum casing and sport band. If you’d like to purchase the Apple Watch with a stainless steel case or different style of band, you’ll have to opt for Series 2. Of course, nothing stops you from purchasing a different kind of Watch band separately, and using it with the Watch Series 1. Both the Apple Watch Series 1 and Series 2 feature the exact same screen resolution with their displays, but one area where the Series 2 screen has the advantage is with its brightness. The display on Apple Watch Series 2 is two times brighter than what’s found on Series 1 (450 nits versus 1000 nits), but I’ve yet to run into a situation in which I wish the display on my Series 1 was brighter than it is. You can certainly pay an extra $100 for the Series 2 if you thought the display of the original Apple Watch was too dim, but for most people, the display here should be perfectly serviceable. As functional as it may be, I still don't know what Ives was thinking when he ok'd the overall design...Huawei Watch and Gear S2/S3 Classic makes this thing look like a fitness tracker you'd get in a McDonalds happy meal. Meh, not really surprising to be honest, as Ive has become super lazy since Jobs died. I don't think he's become lazy, I really think he needed Jobs to reign him in. I'm thinking Jobs probably nixed dozens of designs, and pushed him in the right direction. Now, without him, he is lost. Everything he's designed totally without Jobs is just hideous, especially compared to his work under Jobs. Right, because Android Wear hasn't had any watches that had the same design. Doesn't change the fact that the Apple Watch is ugly as sin. Looks too dorky for an old 'graceful' GreenMan...! G'Day! You gave the gear s3 a 7.5,just .2 higher than this underpowered box? This thing deserves nothing more than a 5. I don't see "No support for Android" in the Cons section ? This is the sign of Apple watch not doing well. They post a S1 review which released more than 1 yr ago? Nah, they already did a review for last year's Apple Watch. They did another review because Series 1 Apple Watches are basically upgraded first gen Apple Watches. It is ugly,expensive, lags when raising to view and has the worst battery life of any I have used. These are all major flaws that mean it is not a great watch and awful value. I'm more like old school type when it comes to running, I take an armband and my SportMe iOS app.